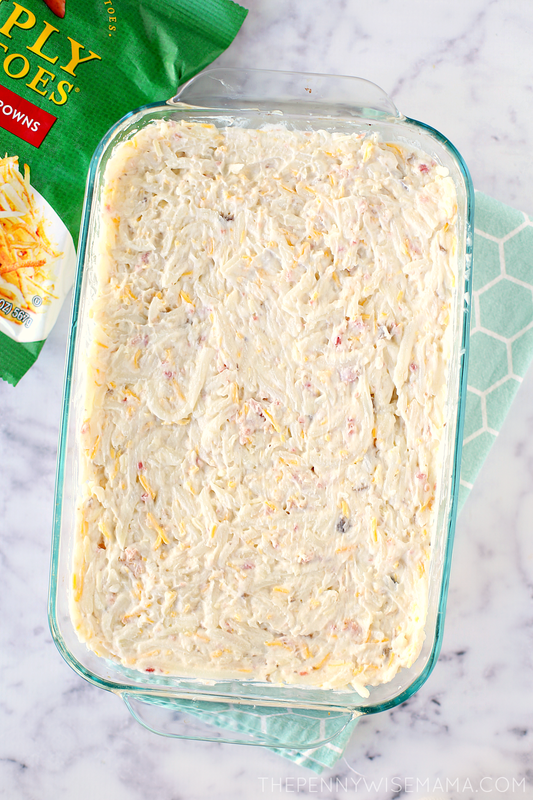 Looking for a yummy side dish to serve at your next dinner, potluck, or holiday meal? This Loaded Hashbrown Casserole is a crowd favorite! 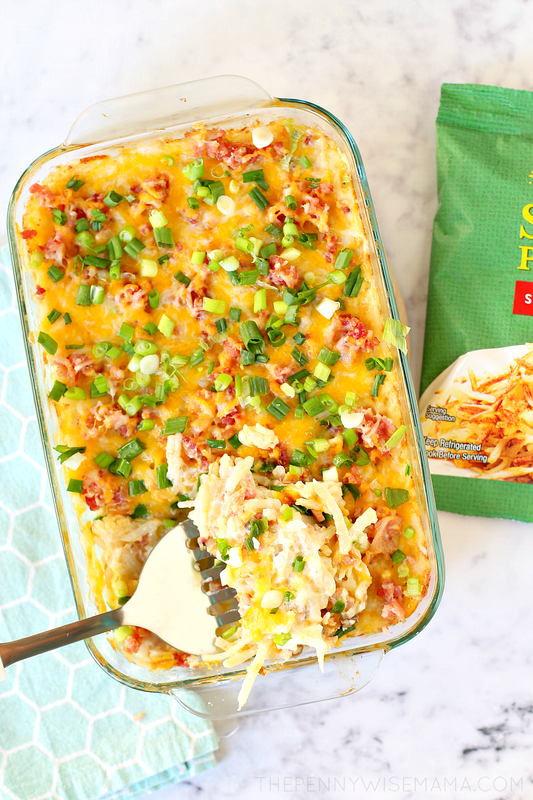 Shredded hash browns, bacon, green onions and loads of cheese combine to create the perfect cheesy, comfort-food goodness. When I think of the perfect side dish, I think of potatoes. They are delicious and nutritious, and best of all, versatile. You can make them so many different ways — mashed, scalloped, fried, roasted, baked, the list goes on. They are delicious by themselves, with toppings, or in casseroles, making them a great addition to any meal. My all-time favorite potato side dish is cheesy hashbrown casserole. It’s my go-to side dish for holiday meals or any time I am feeding a crowd. I like to make mine with Simply Potatoes® Shredded Hash Browns. Unlike other hash browns, Simply Potatoes are always fresh, never frozen potatoes. They taste great and I love that you don’t have to worry about thawing them before cooking them. They are yummy on their own or added to meals and side dishes. 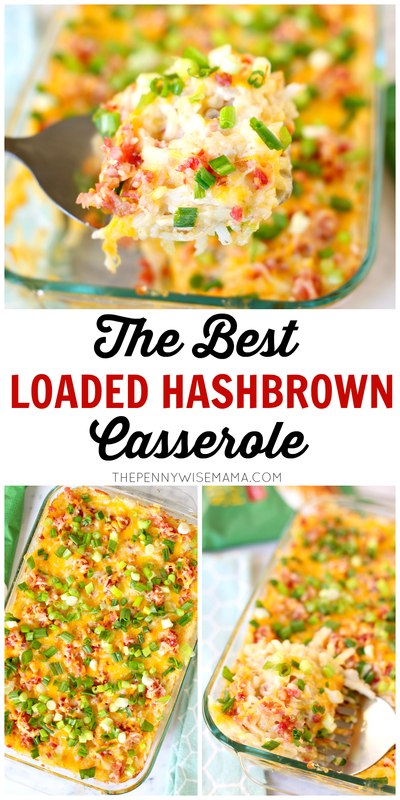 My cheesy hashbrown casserole is perfectly delicious, but I recently discovered that it’s even more amazing “loaded.” Yes, just like a loaded baked potato. 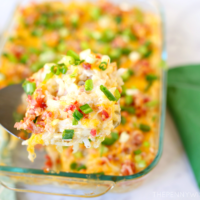 Hash browns, bacon crumbles, green onions, and warm, gooey cheese combine with sour cream, cream of chicken/mushroom soup, and butter to create the ultimate comfort dish. Are you drooling yet? I know I am! 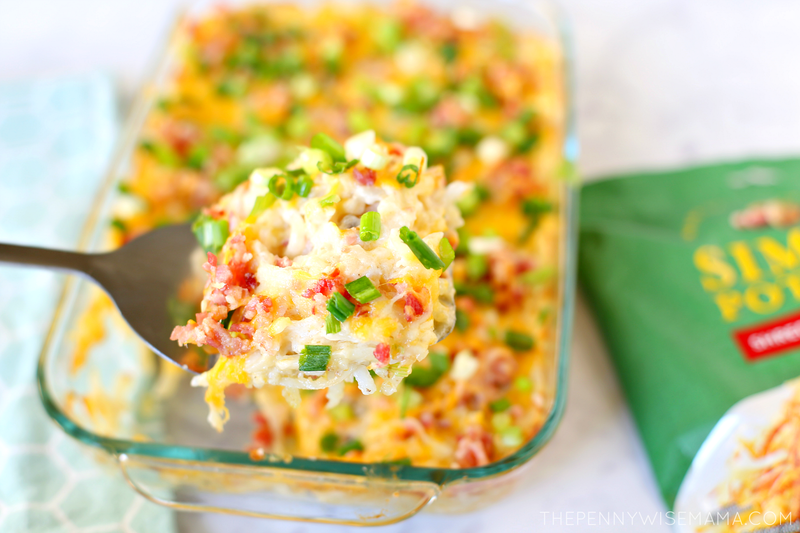 The best part about this Loaded Hash Brown Casserole is it is super easy to make. Simply combine Simply Potatoes Hash Browns with the rest of the ingredients and bake it in the oven. Then top with more bacon and cheese and return to the oven until the cheese is melted. Finally, top with green onions for an added kick of flavor. Yum! This recipe serves around 8-10 people, which is perfect for smaller family dinners or get-togethers. If you are planning on serving it to a crowd, simply double the recipe and bake it in a larger dish. Enjoy! Preheat oven to 350F. Spray 11x7 baking dish with nonstick cooking spray. In a large bowl, combine hash browns, half of the bacon and cheese, cream of mushroom/chicken soup, sour cream, and butter. Mix well and spread evenly into baking dish. Bake 50-55 minutes or until potatoes are tender. Top with remaining bacon and cheese and return to oven to bake for an additional 5 minutes or until cheese is melted. Remove from oven and top with green onions. Serve and enjoy! Have a larger crowd? Simply double the recipe and bake it in a larger dish. You can find Simply Potatoes at your local grocery store in the refrigerated breakfast section. I found mine by the bacon and breakfast sausage. Click here to find them in a store near you. Looking for more recipe inspiration? Check out these delicious Simply Potatoes recipes! 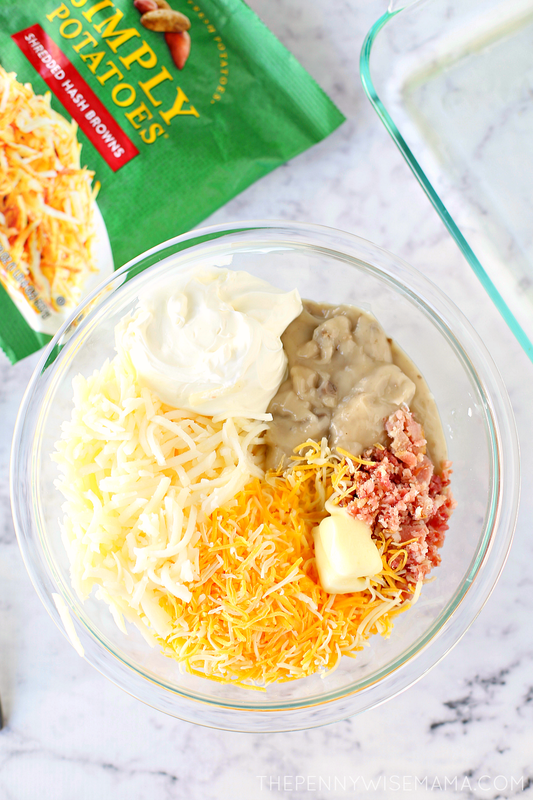 You can’t go wrong with bacon, cheese and potatoes! This looks delicious! I just pinned it and I’m going to make it over the weekend. 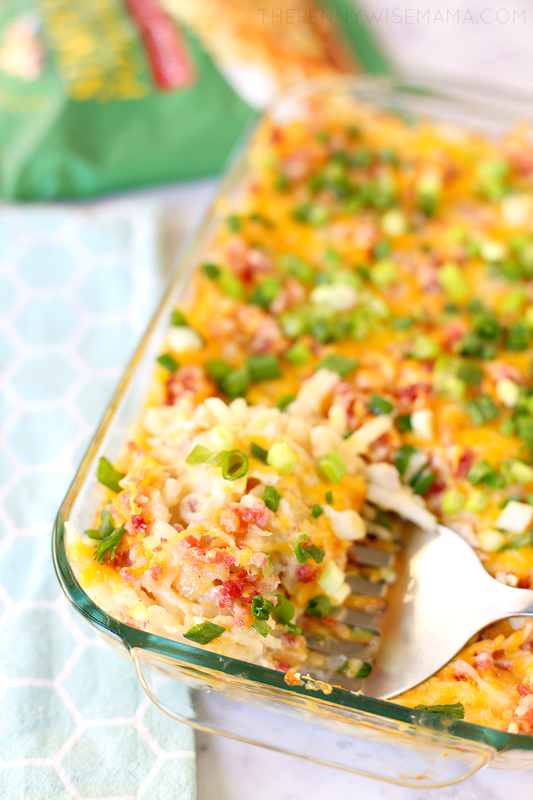 As my mom would say, “Holy Hannah!” This casserole looks and sounds divine! I love how easily it comes together too. I’m definitely trying this recipe this week! Thanks for sharing. I love potatoes in any way, shape or form, so this looks good to me. Breakfast or dinner, it works for me. I am going to make this recipe. 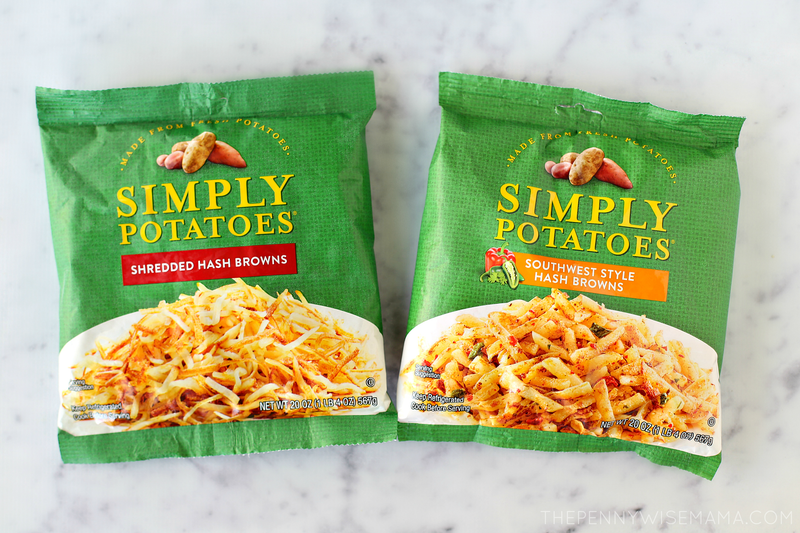 We love the Simply Potatoes and they taste so good. Thanks for sharing a fast and easy recipe! I’ll definitely have to try this recipe! It looks so delicious and easy to make! This looks so yummy! Perfect for Christmas brunch! 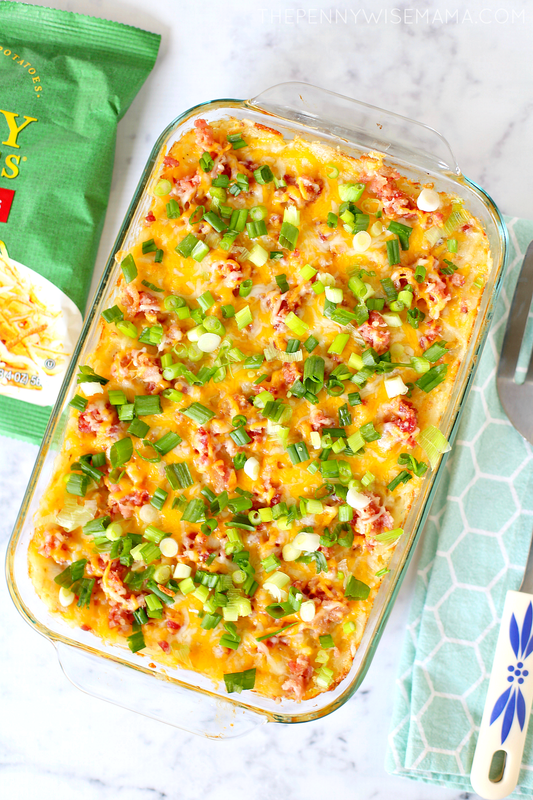 This hash brown casserole looks super yummy. I will have to try this recipe.